Health Ledger Dies of an overdose! | Separated by a common language. Health Ledger Dies of an overdose! What the flip?! I just read Perezhilton and BLAM, Health Ledger is found dead with a bottle of pills by his side. CRAZY!!! I am so f*ing blown away by this. 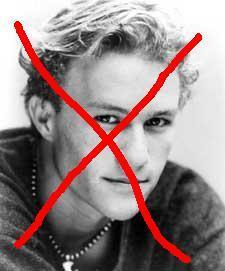 I though it had to be a joke… Anna Nicole, yes – Heath Ledger, WTF. I guess it’s going to be one long Dark Knight for him. What??? ZOMG. I can’t believe this. I’ve been traveling and this is the first I have heard of it. Geesh.